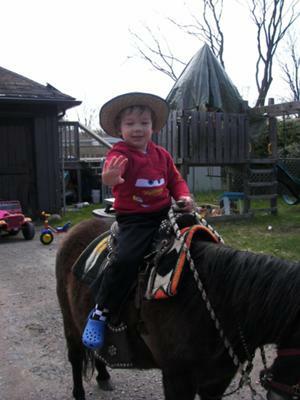 For my son's 4th birthday, we had pony rides! The kids had fun taking turns going for pony rides. When they arrived at the party, they were all given cowboy hats to wear for the rest of the party. It was a lot of fun!